The Oscilloscope PCSU1000 for PC is a compact handheld measuring instrument which is easy to handle. Two channels, one external trigger input and real-time sampling rate of up to 50 MS/s, allow diverse opportunities for application. The input circuits support an analogue bandwidth of 60 MHz (±3 dB) while sampling rates of up to 1 GS/s can be applied with the help of equivalent time measurement range (applicable with every periodic signals). Memory depth per channel is 4000 samples. Since power supply is avaliable via USB interface, an additional power adapter is not necessary. 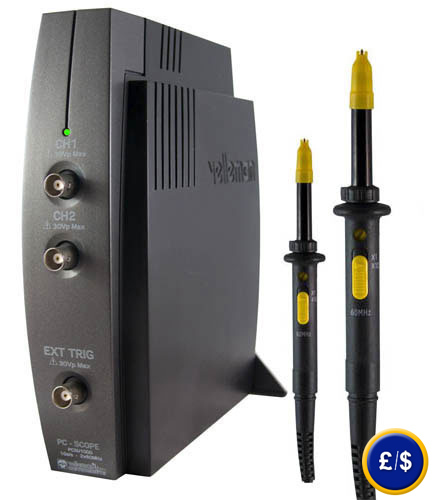 The software offers additional functions: a spectrum analyser and a transient recorder. User interface is simple and clear, so that even inexperienced users can operate it easily. Data recorded with the oscilloscope can be exported as image file or table and can be processed further. Mathematical functions like adding or subtraction of channels as well as invert of channel 2 are also available. Furthermore, 21 parameters of signal form can be shown directly. If you have any further questions regarding the Oscilloscope PCSU1000 for PC, see the following technical specification or contact us: UK customers +44(0) 23 809 870 30 / US customers +1-410-387-7703. Our technicians and engineers will gladly advise you on all products in the field of regulation and control, measuring instruments and scales. 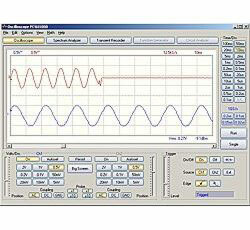 At the following link you will find further oscilloscopes. Via USB interface on the back of the casing data transmission and power supply are generated. 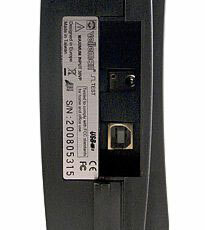 Recorded signals can be exported for further processing or printed as image or table with the software. For companies that wants to include the Oscilloscope for PC into their quality internal control or for annual recalibration. The certificate according to ISO includes laboratory calibration (test certificate with all measurement values).